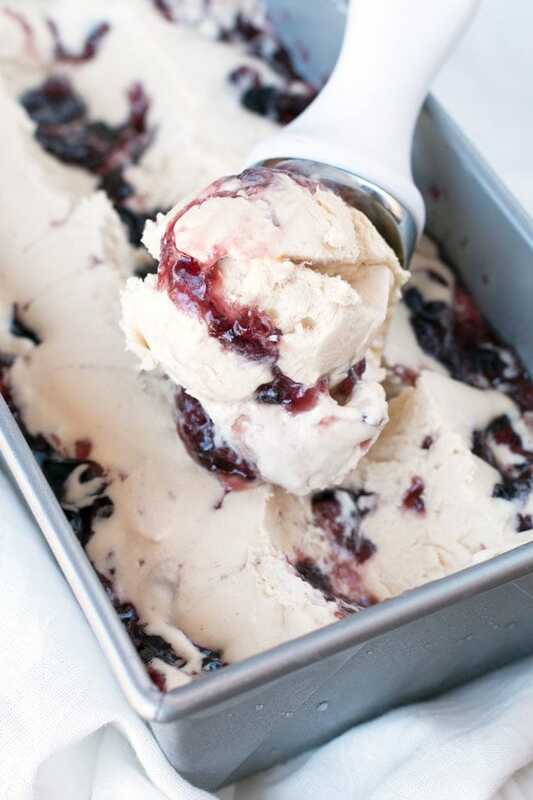 PB&J Ice Cream is everything you remember about your favorite childhood sandwich! 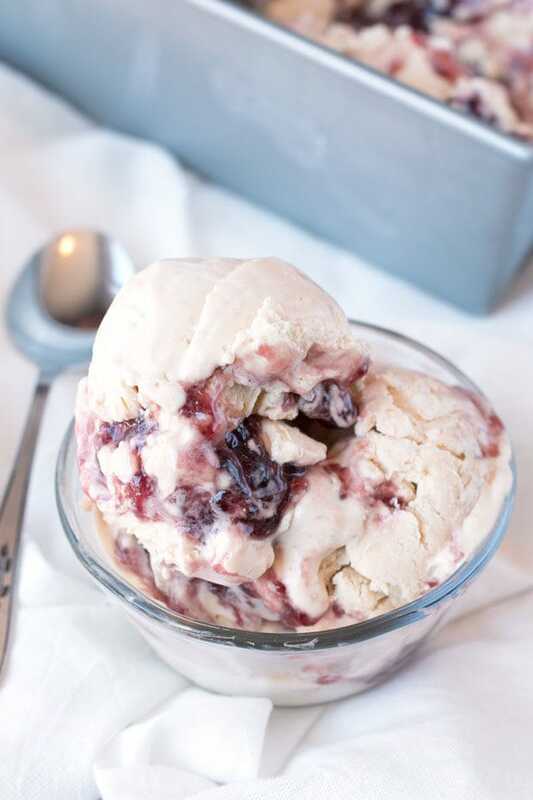 Creamy no-churn peanut butter ice cream is swirled with grape jelly, making it the ultimate throwback. I’m kicking it old school today with the classic peanut butter and jelly combination! Were you one of those kids who was brought up on PB&J sandwiches? I sure was. Honestly, when I was young, the simpler the meal was the better. 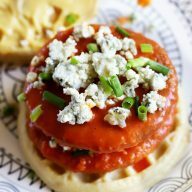 There was a period of time in my life where PB&J sandwiches and hamburgers with only ketchup were the only things I would eat. I like to think I’ve matured past this stage in my life, but admittedly, only my palate has truly “grown up”. Yes, I was totally that girl in elementary school. The flavor combination here is just SO classic. It’s timeless. It’s oh-so Americana. 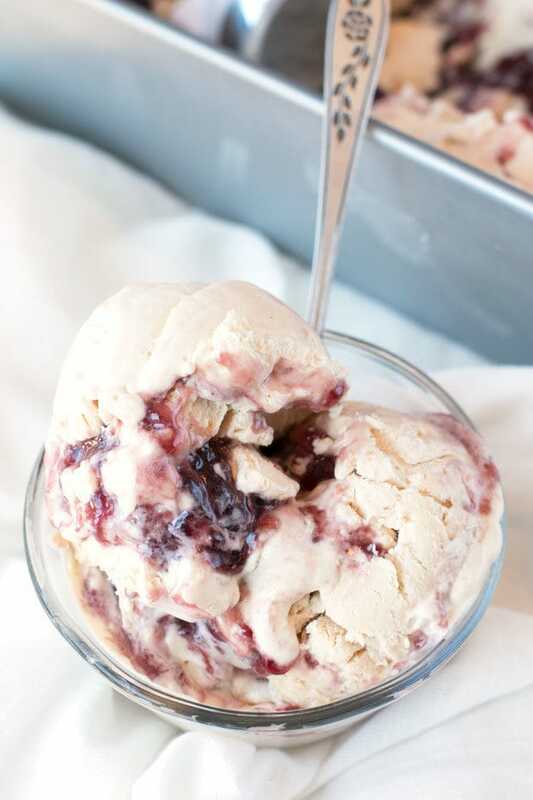 It’s hard to believe that this creamy dreamy PB&J ice cream as simple as it is, but it seriously couldn’t be easier to make. You don’t even need an ice cream maker! Just fold all these luscious ingredients together, swirl in some grape jelly and freeze. No really, that’s all you have to do. I’m not kidding. 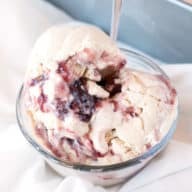 It's hard not to swoon over this creamy peanut butter no-churn ice cream, swirled with grape jelly! 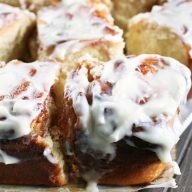 In a medium bowl, whisk together sweetened condensed milk, vanilla, peanut butter, and salt. Set aside. In a large bowl, beat whipped cream with an electric mixer until stiff peaks form, approximately 2 minutes. Fold approximately 1 cup of the whipped cream into the peanut butter mixture until combined. Fold the peanut butter cream mixture back into the whipped cream until well combined. 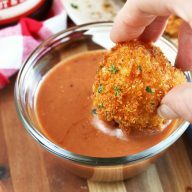 Pour the mixture into a metal loaf pan. Dot with jelly on top randomly, then swirl the jelly into the ice cream base. Cover with plastic wrap and freeze for at least 5 hours before serving. 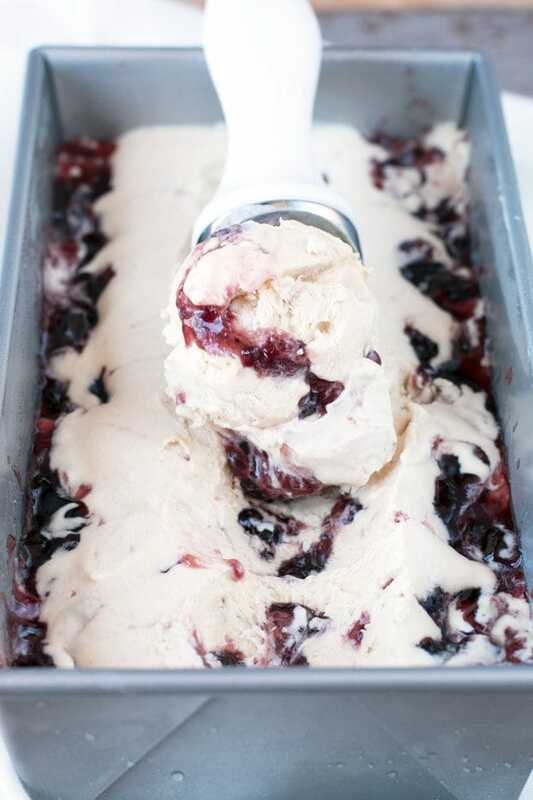 Pin this PB&J Ice Cream recipe for later!